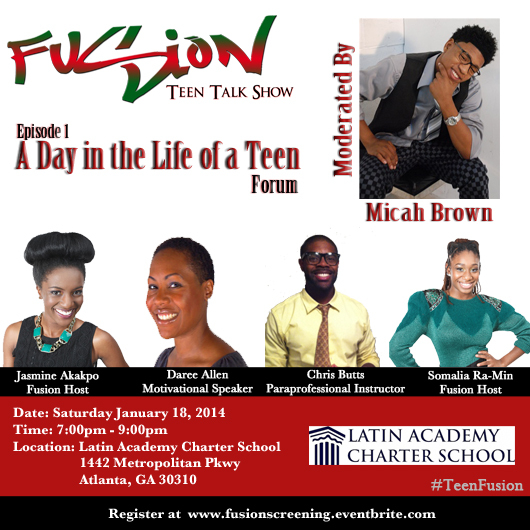 I was a part of a wonderful show last summer that reminds me a little bit of BET’s Teen Summit. We are screening the first episode this Saturday with a panel/forum to follow. 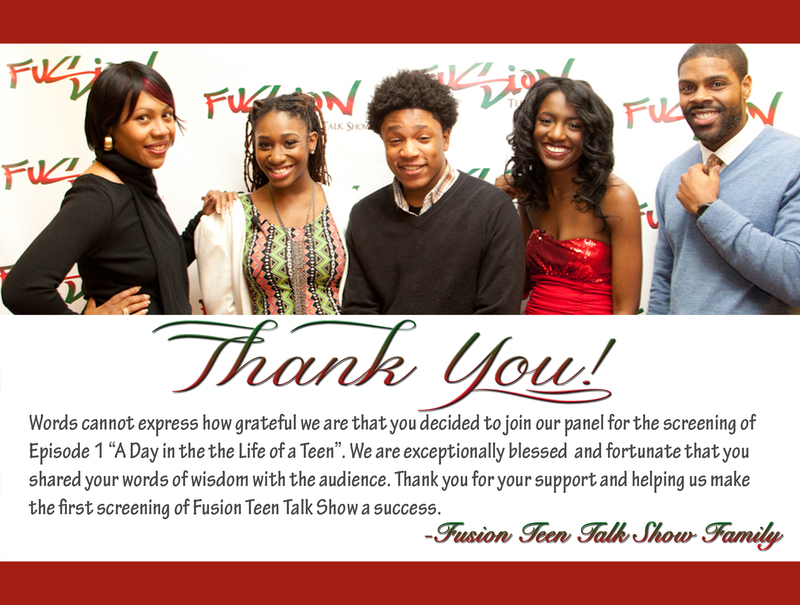 I got this nice email from the team at Fusion Teen Talk Show afterward. July 2013 was the month of reunions: I reunited with a 15 people in 8 different scenarios–and I didn’t attend a family reunion to do it. I wanted to take advantage of my mom time off but I did spend a couple of days being mom when I went to Virginia to celebrate my daughter’s 10th birthday with her. She was also reunited with her father on her special day (whom we haven’t seen in 18 months) and her adult brother whom I’ve known about ever since I met her father but have never met before! I completed my goal of running at least 60 miles this month. I decided to start running more in the mornings so that I can beat the sun, high temps and humidity that defines summer in Hotlanta. Getting up while it’s still dark is definitely a sacrifice because I work from home, but knowing I’ve done a hard workout early and got that out of the way is worth it. However, I ran my fastest and longest runs when it was over 90 degrees– so go figure. I now do a run long every weekend (at least 5 miles) and recover well. 3 short months ago when I started running, I was afraid. I considered the average 5K/ 3 mile route to be a scary distance, and I’d modify the route or turn around a lot sooner than everyone else in my running group. Now I’m when I finish 3- or 4-mile runs, I feel like I could keep going even though it’s over. I think, “That’s it? I’m just getting started.” It’s not because the runs get easier, or that I’m that much faster than before. I must be getting stronger. So if you’re new like me and you don’t think you’re where you’re want to be with this running thing, don’t worry–just stick with it and for sure, running will stick with you. In other news, editing is now complete for my new book and the layout phase has begun. I also got a new phone–the Samsung Galaxy S4. I think I want to take one more short trip in August before baby girl comes home. Any suggestions? …and another reason to be thankful. 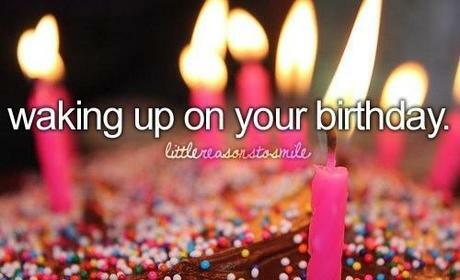 How fitting that prompt #23 (love that number!) for personal branding at TheBloggingSchool during #NaBloPoMo is Write about your latest accomplishment. In this birthday recap/annual review, I will mention quite a few of those! I had so many proud, fun moments in the year of 35. 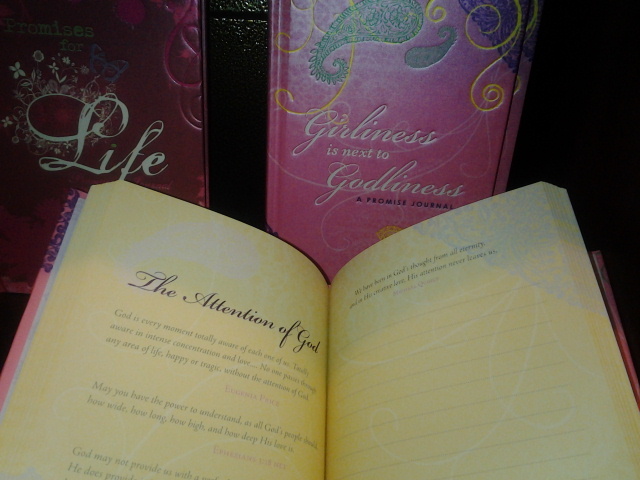 I’ve mentioned my life-long practice of journaling many times and created one of my own. 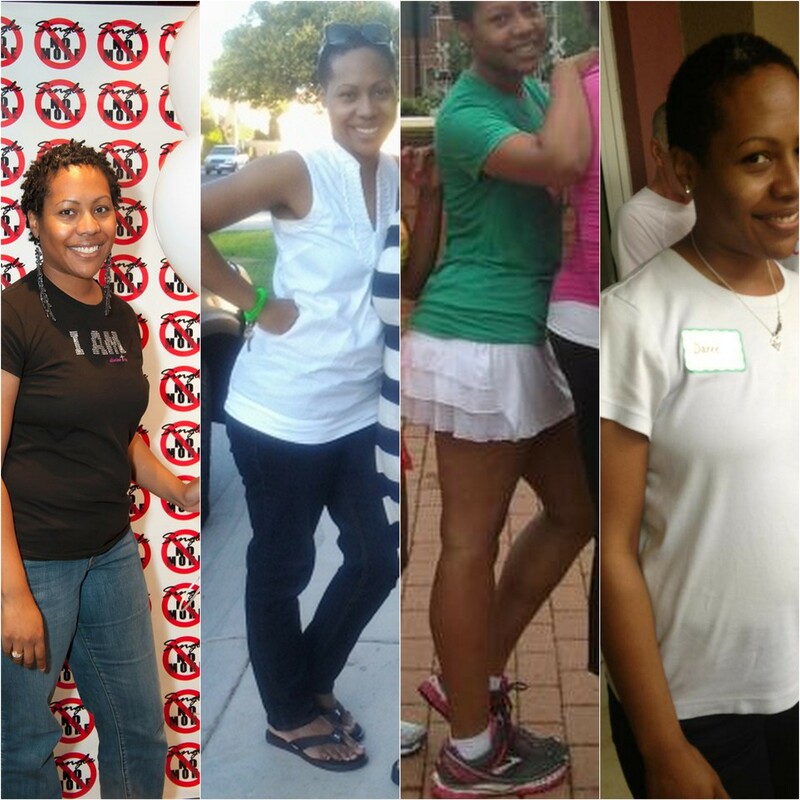 I came across life coach Rosetta’s post (on The Happy Black Woman blog) about how she does her monthly reviews. I decided that before the first week of September was over, I would reflect on my life in August and write a post about it. I moved into a new home and took a mini-vacation. Technically the moving part was in July, but as of August 1, I had been in the house for 3 days so I’m counting it here. As with any move, it takes time to get settled, get repairs and utilities in working order, and establish routines from the new location. I spent a weekend Savannah, GA perusing the tourist area around historic River St. and visited Tybee Island, Paula Deen’s restaurant Lady & Sons, and the highlight was a last-minute idea to her brother’s restaurant, Uncle Bubba’s. I will be back! I performed in a local improv comedy show for the first time. Why improv? Professional speakers Steve Berkun (author of Confessions of a Public Speaker) and Darren LaCroix have touted using improvisational techniques as a way to incorporate spontaneity and flexibility while doing public speaking. As a youth speaker, I have to not only educate and give information in a somewhat entertaining manner, but I don’t think of myself as being terribly humorous. The improv class proved to be a fun way to loosen up, trust myself onstage, and gain more self-confidence in extemporaneous speaking situations. Since my last goal call 2 months ago, I’ve accomplished a lot. Yesterday, Spelman College and Written Magazine presented “A Conversation with Tyrese” at the Sister’s Chapel at Spelman. 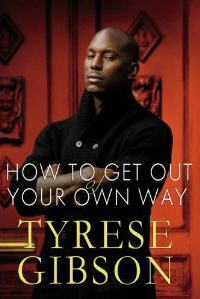 Written’s publisher Michelle Gipson conducted the 80-min interview with singer/actor Tyrese Gibson about his new book, How to Get Out of Your Own Way (Grand Central Publishing, 2011), a memoir/self-help book. Journalist and CNN commentator Jack Johnson joined them onstage as well. Gipson encouraged audience members (Spelman students, grown women, and a few men!) to submit questions on notecards or tweet with the hashtag #WritMagAskTyrese. Note: This post is written almost like a full-featured magazine article, except that I’ve also included my own thoughts and explanations to provide context. So it’s long, even though I left some things out. . . but I think you’ll enjoy it regardless. It’s no surprise that when the tall, dark, and dapper 32-year-old Tyrese appeared onstage, the girls went crazy with screams and frantic camera-phone picture-taking. It took awhile before he could speak–partly because of the love from the crowd, and partly because he was nervous. 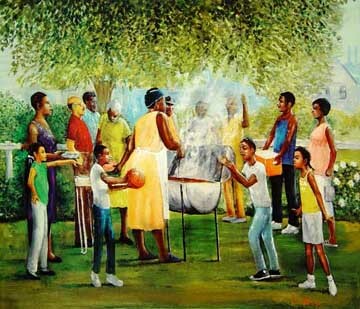 But after his initial “Hello,” the girls (and Tyrese) were able to collect themselves, and I was able to take more than three pages of notes to capture teachings from “The Temple of Tyrese,” as Jet magazine called it in their April 4, 2011 issue.